Conflict arose in the board of Bumi, the Indonesian coal miner with the investor Nathan Rothschild as a large investor after a reverse takeover of the Vallar investment vehicle. After initial conflicts the Indonesian board members planned to remove mr. Rothschild from the board, but he now only appears to have to give up his co-chairmanship. Share price of the company dropped significantly after the news of the conflict. (Higher prices + higher costs) x lower volumes = lower profits. That was the story of the results releases of the world’s largest miners this week. The impairment taken by Rio Tinto on the Alcan acquisition costs probably was the most significant item, together with the relatively positive outlook given after the negative and uncertain signals given about global demand in the past months. 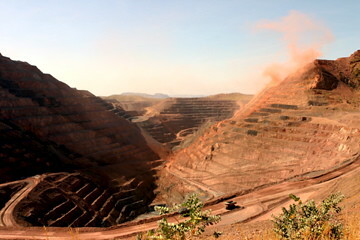 BHP Billiton and Rio Tinto announced investments of $4.5bln to replace the plant at Escondida, the world’s largest copper mine in output, increasing capacity and enabling mining restricted by the current facilities.